Have Yourself a Merry Little Christmas was almost cut from the film that made it popular. The song was sung in the 1944 MGM musical, Meet Me in St. Louis. 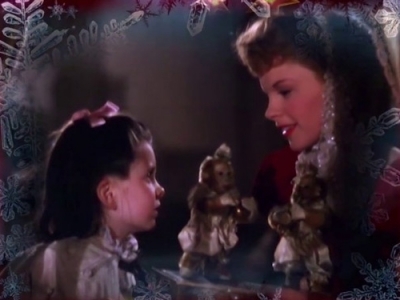 In the film, Judy Garland’s character sings the song to her despondent little sister, played by Margaret O’Brien. The song was written by Hugh Martin when vacationing in the Southside of Birmingham, Alabama. In 1923, Martin and his family would make that house their home. Martin presented the lyrics he’d written before the filming of Meet Me in St. Louis. He was asked by Garland, director Vincent Minnelli, and co-star Tom Drake, to change the lyrics so they were not so depressing. At first, Martin resisted but eventually made the changes. Garland’s version of the song was released as a single and quickly became popular with the troops serving in World War II. Her performance for the troops of the song would bring them to tears. The lyrics Garland sang in Meet Me in St. Louis has been recorded by numerous artists with slight variations. 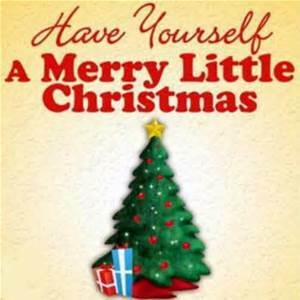 Ralph Blane is credited with writing the music for this song, along with many others Martin wrote the lyrics to, although Martin wrote in his autobiography that he wrote both the music and lyrics for Have Yourself a Merry Little Christmas. In a 1989 interview, Martin said he found a madrigal-tune that he liked but couldn’t make work. He threw it away, but Blane heard it and told him it was too good to throw away. Thus, they began working on a revision. In 1957, Frank Sinatra asked Martin to revise a line for his upcoming album, A Jolly Christmas. Martin made several other alterations, changing the song’s focus to a celebration of present happiness, rather than anticipation of a better future. 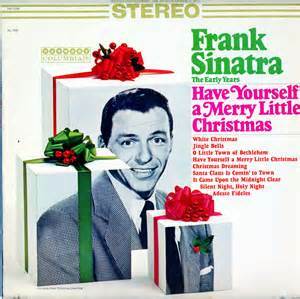 Sinatra’s version helped lift “Have Yourself a Merry Little Christmas” into the ranks of cherished holiday’s classics. Hugh Martin died in March 2011, at age 96. He also worked with Judy Garland on her movie, A Star is Born. “Have Yourself A Merry Little Christmas” has continued to enjoy tremendous popularity, in the mixture of melancholy and hope the song offers.